With new Cafes popping out once in a while in Singapore, it may seem a norm but I was rather surprise to see the increase number of cafes in Johor Bahru during my recent visit there. 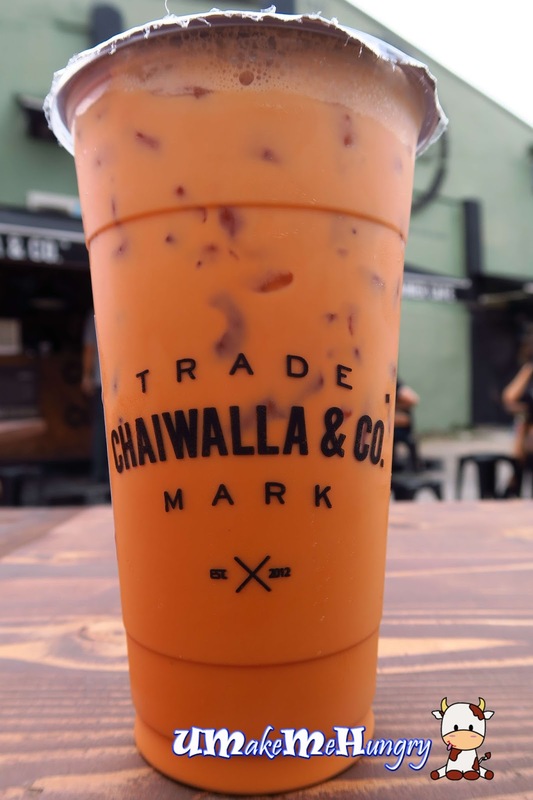 Chaiwalla & Co. is an open air cafe which you cannot find in Singapore with tables and chairs sitting on the open ground sand and cement. Having its unique part with her working space operated out of a container. 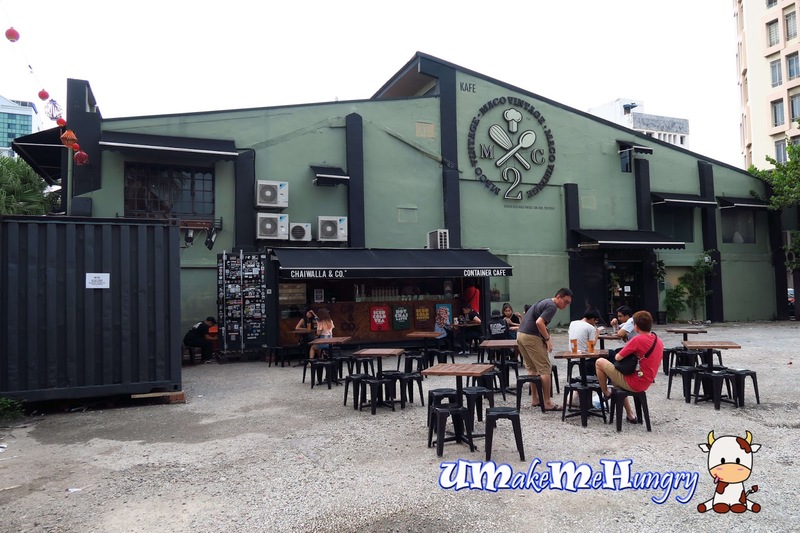 If you heard of the famous Hiap Joo Bakery that sells traditional baked Banana Cake, Chaiwalla & Co Container Cafe is just around the corner. Enjoy a cup of beverage, either coffee or tea from Chaiwalla. Pies can be grabbed from here too if you decide to have some food to go along with your beverage. 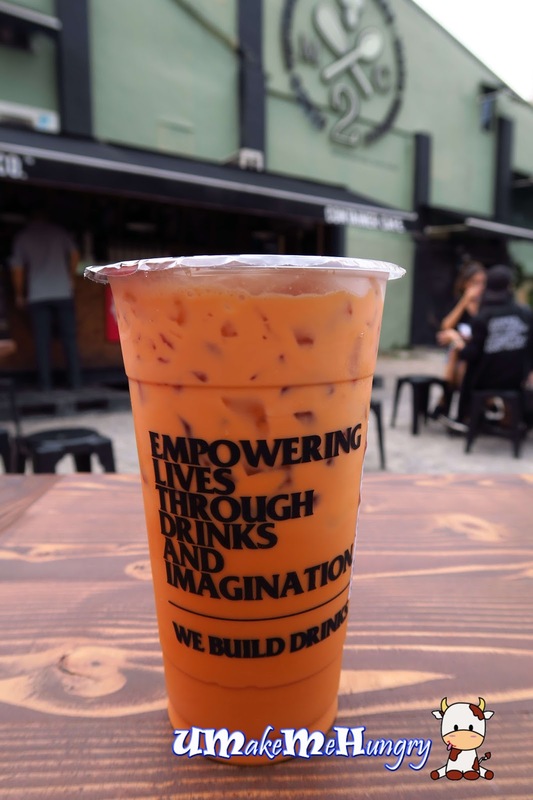 We ordered a cup of Thai Milk Tea at RM 9.30 and enjoy this refreshing drink under the hot weather which fits our plan in beating the heat. However if you are keen in toppings like pearls or jelly, they are available at additional cost.